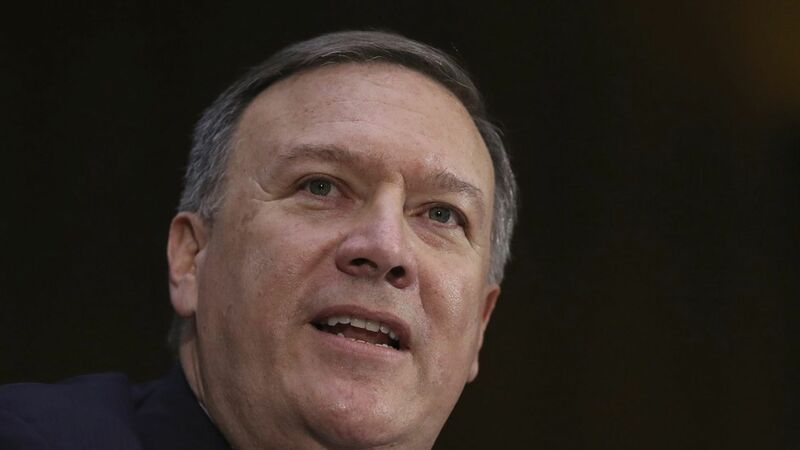 On the eve of President Trump's visit from Israeli Prime Minister Benjamin Netanyahu, CIA Director Mike Pompeo met secretly with Palestinian Authority President Mahmoud Abbas in the West Bank, per the AP. The meeting came as the Trump administration signaled an openness to pursue a peace process in the Middle East that does not involve a two-state solution — a goal mutually endorsed by the United States, Israel, and the Palestinian Authority. The Palestinian Authority's chief negotiator: "We believe undermining the two-state solution is not a joke, it is a disaster and tragedy for Palestinians and the Israelis and the whole region." Facts Matter: Read more about Trump and the two-state solution.